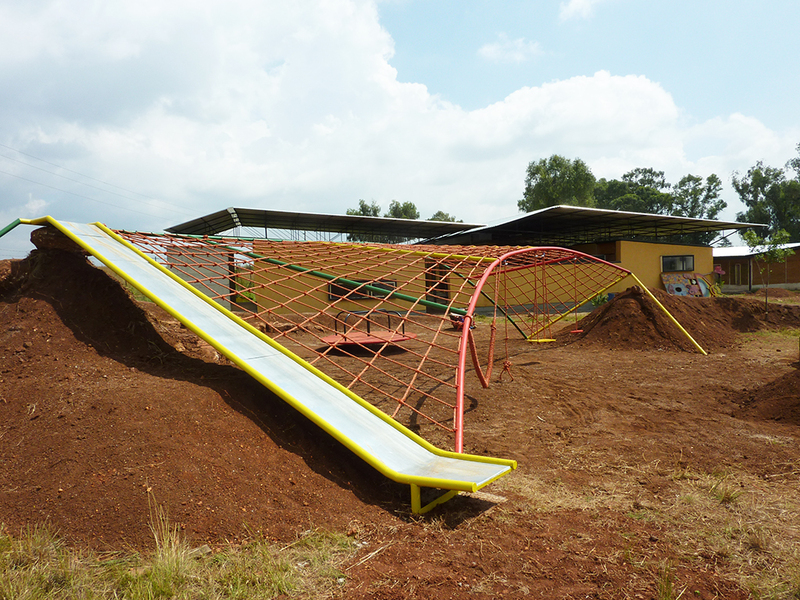 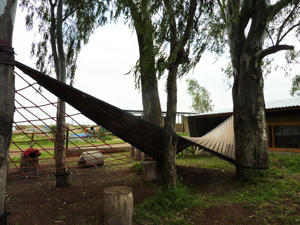 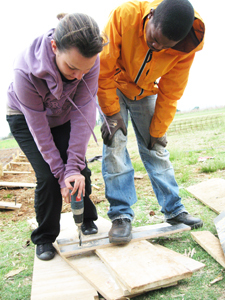 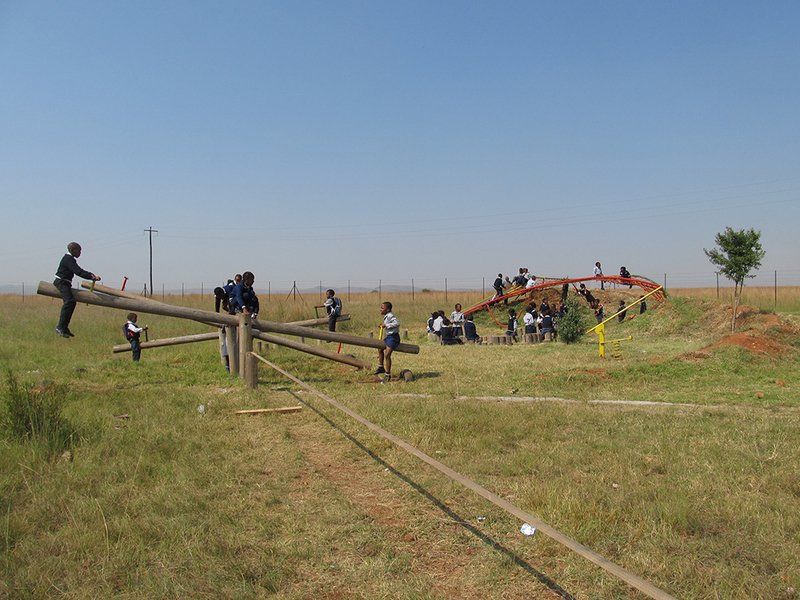 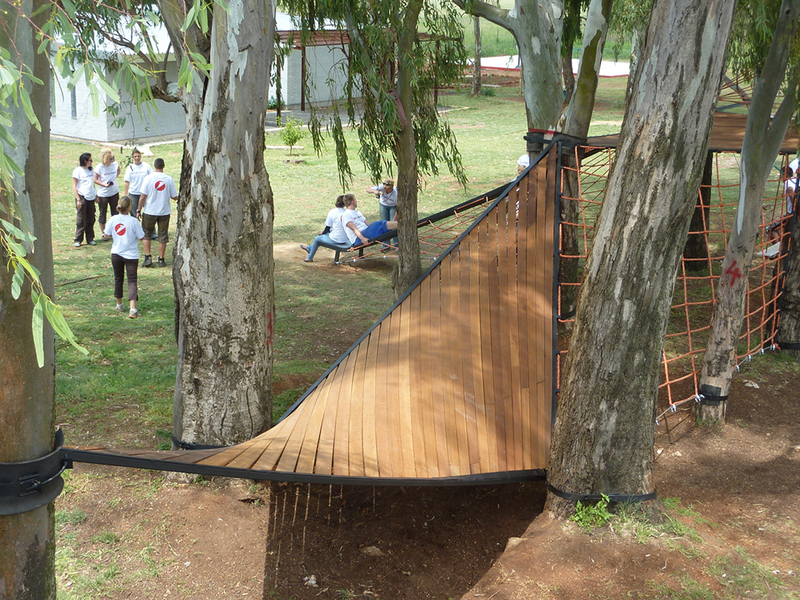 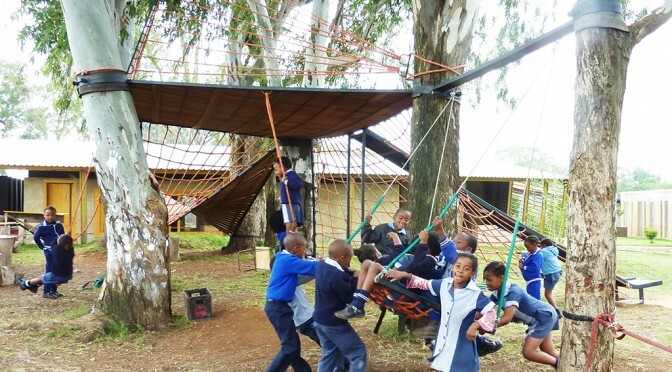 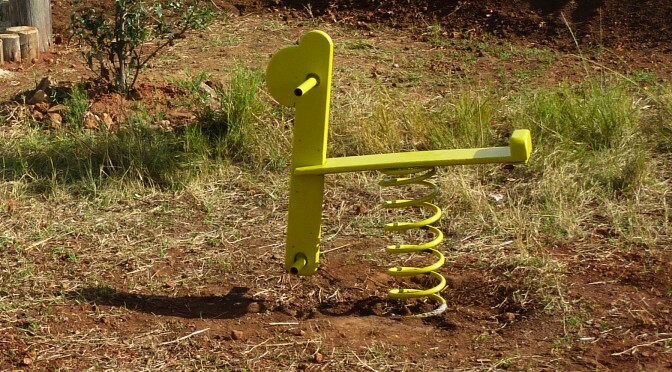 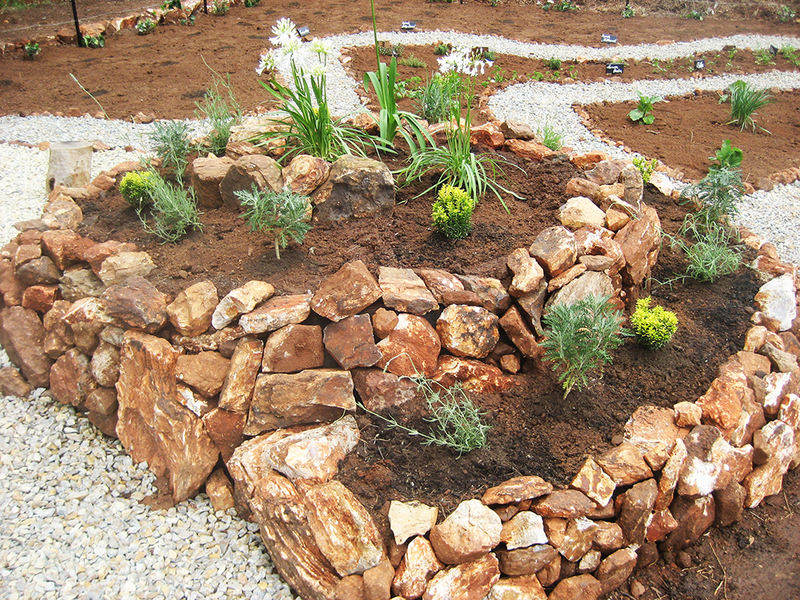 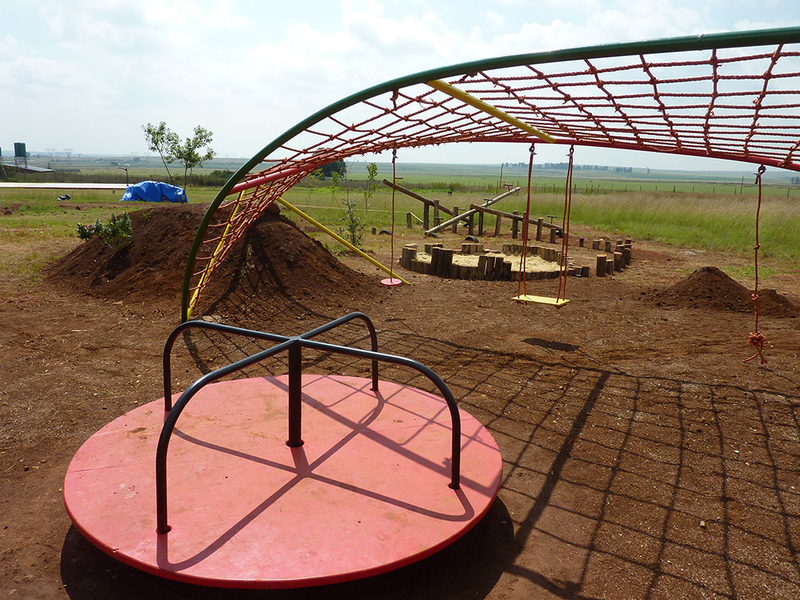 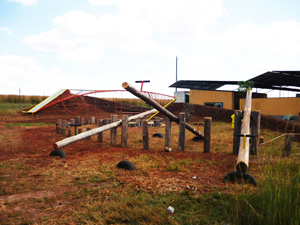 Bank of Austria playground for Ithuba Johannesburg primary kids with siccors, swings, slide, climbing arch and sandpit form two courtyards enclosed through hills. 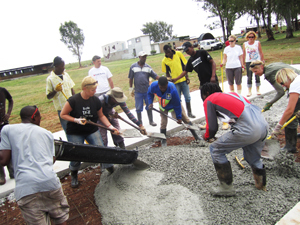 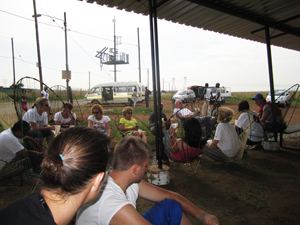 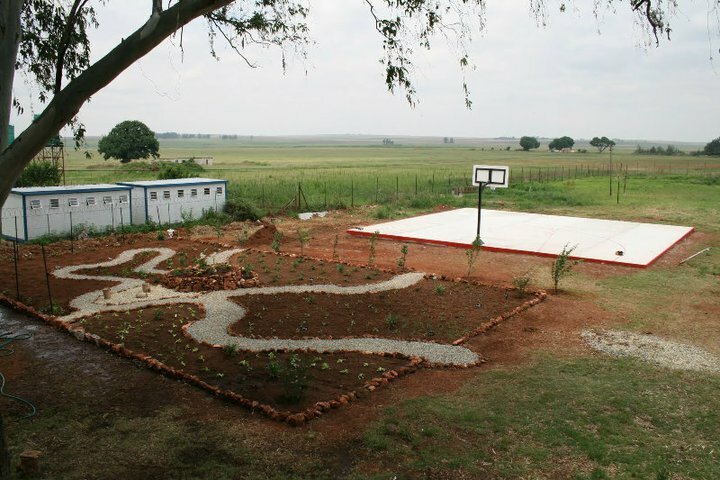 The basketballcourt extended to full size in collaboration with local team and computer workshops with the Ithuba teachers. 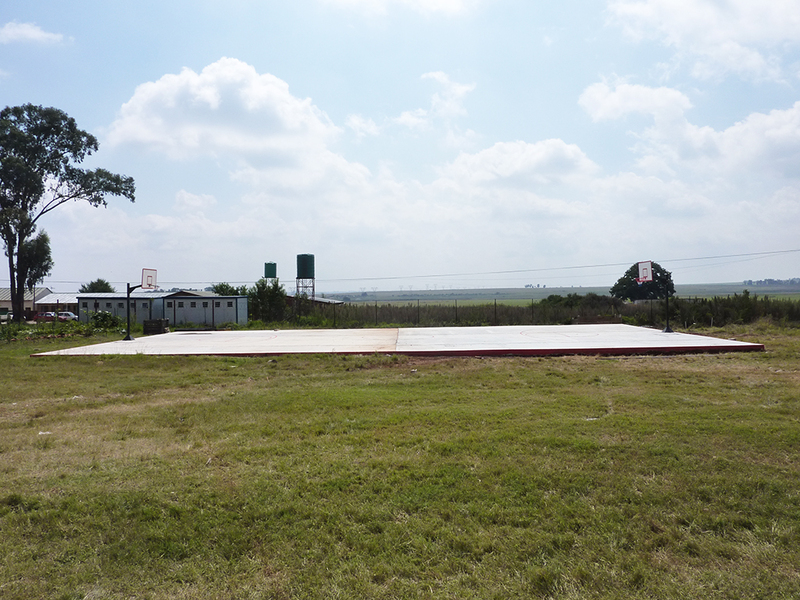 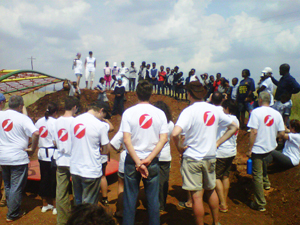 The amazing teamwork with sponsors, users and community members turns into fancy playground, a half basketball field and a fruit and vegetable garden!